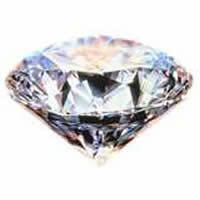 The diamond is the birth stone of April. Loved for its immense beauty, diamonds have been one of the most popular and famous gem stones in history. Superstitions and myths regarding diamonds go back to ancient times. The Romans, for example, believed diamonds were created when stars that were actually tears of the gods fell to earth and shattered into tiny diamond fragments on the earth's surface. For this reason, the Romans believed diamonds held great power and would provide strength, courage, and protection to those who wore them. In fact, many Roman soldiers wore diamonds as magical amulets to help assist them in battle. Diamonds can form naturally in very specific circumstances. All of these circumstances result from carbon based materials being subjected to an extremely high degree of pressure of at least forty-five to sixty kilobars while also being subjected to a relatively low temperature of at least nine-hundred to thirteen-hundred degrees Celsius. The formation of diamonds also requires plenty of time for this transformation to occur. The earliest diamonds geologists have discovered were produced two and a half billion years ago. The most recently created diamonds discovered were formed forty five million years ago. There are a few circumstance where these high pressure, low temperature conditions can take place naturally to create a diamond. Most of these take place at extreme depths below the earth's surface of at least seventy-five to one-hundred and twenty miles. Most diamonds were produced millions of years ago from carbon in the earth's mantle. This transformation from carbon to diamond took place slowly as parts of the earth's mantle were pushed deeper into the earth, causing them to melt. When the temperature reduced again, new kinds of rock were formed. If the conditions were exactly right, that carbon from the earth's mantle was transformed into diamonds during that process. As previously mentioned, diamonds form when carbon is exposed to extreme conditions of pressure and temperature over periods of millions of years. 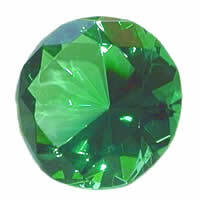 Diamonds, in fact, are composed of only carbon. Diamonds are actually the most concentrated form of carbon on earth. Like all materials composed of elements, the properties of diamonds are determined by the specific structure of the atoms of its element. The atoms of carbon in a diamond repeat a very distinct symmetrical pattern called the diamond lattice. The diamond lattice pattern gives diamonds their specific properties such as extreme hardness and transparency. Diamonds are produced in a number of locations across the world in areas that were fortunate enough to have had deposits of the rare gem pushed up closer to the surface where it can be mined. One of the most famous locations for this diamond mining has historically been Africa. Africa has in fact been one of the leaders in diamond production since the 1870's. Continuing this trend, top diamond producers in Africa include Angola, Congo, and South Africa. However, the largest producer of diamonds in Africa and the world as of 2008 was Botswana. Botswana is a relatively small nation in the southern tip of Africa. It is bordered on the south by South Africa. However, over the past hundred years, non-African nations have begun taking strong leadership in the diamond production market as well. As of 2008, Russia was the second largest producer of diamonds in the world. 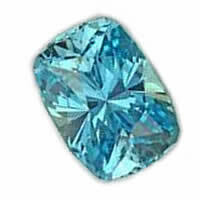 The largest producer of diamonds in North America is Canada, and Canada in fact ranked as the third largest producer of the gem in 2008. Another very significant player in the diamond mining industry has been Australia. Australia, for a time in the 1990's, was the world's largest miner of diamonds.